Thousands of lanterns graced the road between Jl. Jend. 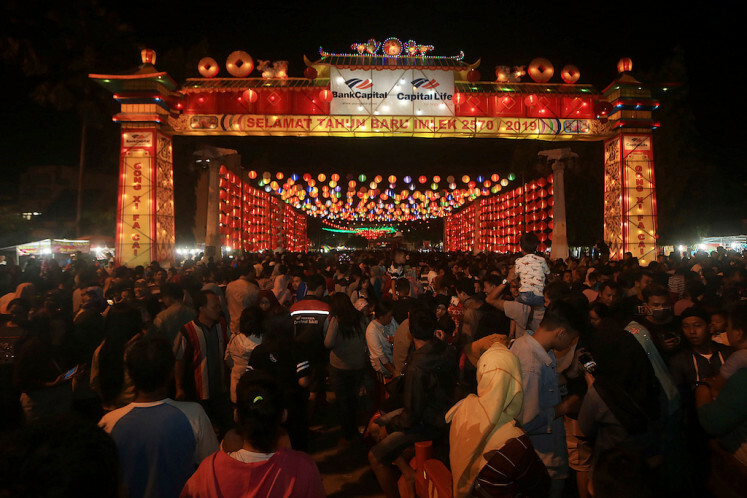 Sudirman and Pasar Gede Market in Surakarta, Central Java, on Tuesday in celebration of Chinese New Year. 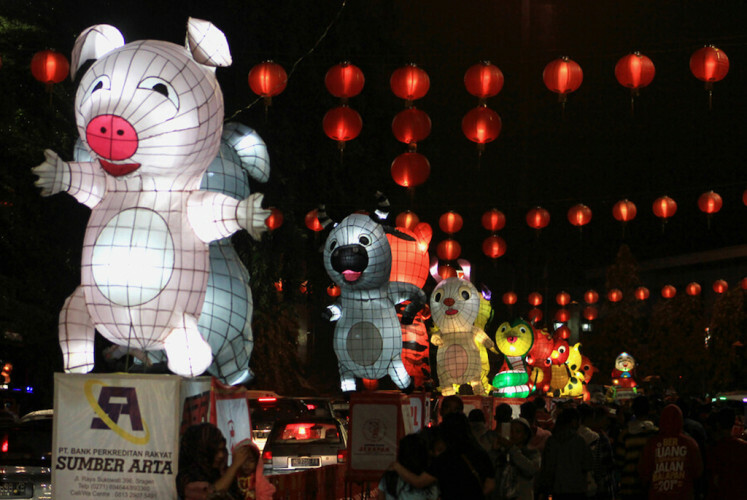 The Chinatown area looked livelier than usual and will continue to be decorated by lanterns until Feb. 28. “Imlek now belongs to every citizen of Surakarta, not only those of Chinese descent. This year, our theme is Unity in Diversity,” said Sumartono “Martono” Hadinoto, head of the Imlek celebrations’ committee. 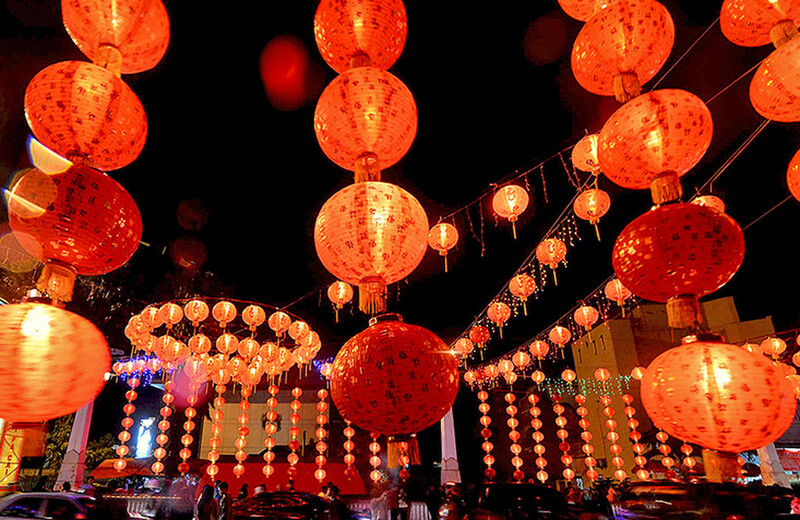 The lanterns come in various shapes and sizes, including Chinese zodiac signs and fictional characters such as Punokawan (clown servants of the heroes) and Werkudara, a mythical Javanese hero. They are strung up side-by-side to symbolize the longstanding harmony between Surakarta’s Javanese and Chinese cultures. “Surakarta is a pluralist city that reflects diversity,” Martono said. Imlek gates were also erected right in front of the town square. Pasar Gede Market served as the center of the city’s Imlek celebrations. In the past, the area was the economic center for newly arrived Chinese immigrants. Today, there are still many Chinese-Indonesian merchants to conduct business in the market. While the colorful lanterns are installed to form a long line from Jl. Jend. Sudirman to Jl. Urip Sumoharjo, those at Pasar Gede Market and Tien Kok Sie temple are arranged in the shape of curtains. Hundreds of lanterns are also lined up along Pepe Piver, not far from Pasar Gede Market. 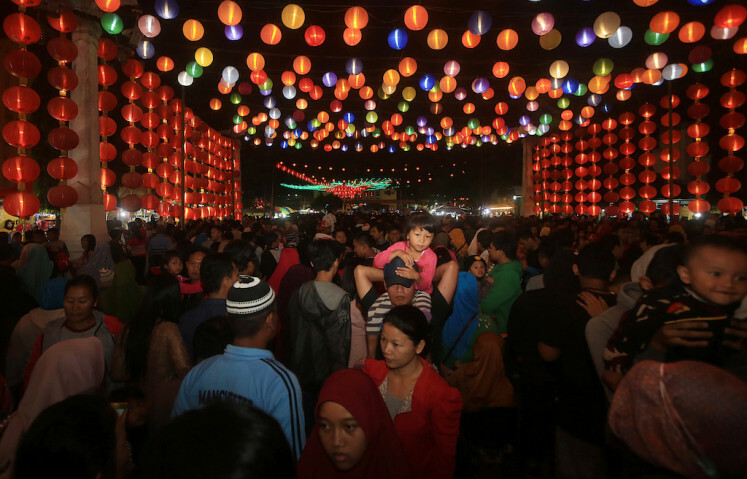 The thousands of lanterns drew many visitors, causing traffic congestion that stretched from the Gladag roundabout to Pasar Gede Market every night. 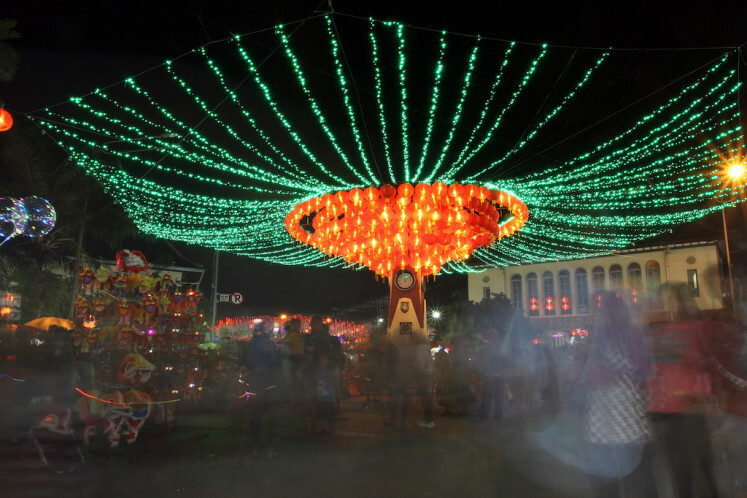 “I’m happy to take photos with the lanterns, clock tower and Pasar Gede Market in the background, especially as [Imlek] happens only once a year,” said Budiman, a 21-year-old from Semanggi, Pasar Kliwon. In the past three years, Imlek celebrations in Surakarta have made the city a popular tourist destination. Aside from lanterns, the city administration has also introduced wooden boats for people to cruise the Pepe River. Renting one of the boats costs Rp 10,000 (72 US cents). “Traveling along the river while enjoying the site of thousands of illuminating lanterns gives a very different sensation; it doesn’t feel like you’re in Surakarta. The sense of Chinatown is very strong,” said Surakarta resident Utik, 20, after cruising the river. Surakarta Mayor FX Hadi “Rudy” Rudyatmo said it had taken some time to create the tourist attraction on Pepe River. It took a year to widen the river, clear it of trash and then dredge it of sediments. “The water attraction has returned the river to its proper function. Surakarta hopes to turn its rivers into tourist attractions; not just Pepe River but also Anyar and Jenes rivers. People have to be aware that rivers are not a dumping ground for trash,” Rudy said.